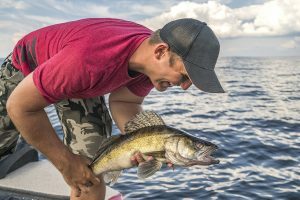 Saginaw Bay – Walleye have been caught in 20 to 25 feet of water around the Spark Plug and near Buoys 1 and 2. Anglers from Quanicassee and Sebewaing were heading out to the shipping channel and the Spark Plug while trolling crawler harnesses. Fish were caught in the Slot off Sunset Bay in 14 feet of water and outside the islands north of Sebewaing. 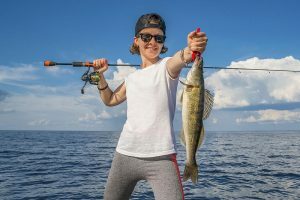 Saginaw Bay – Au Gres – A few walleye were still being caught near the channel and south of the port in 35 to 40 feet of water when trolling crawler harnesses. Saginaw Bay – Oscoda – Salmon, lake trout, steelhead and pink salmon were caught in 90 to 150 feet of water. Some caught the occasional walleye. Saginaw Bay – Oscoda – Au Sable River – Reports were light except for a few walleye. 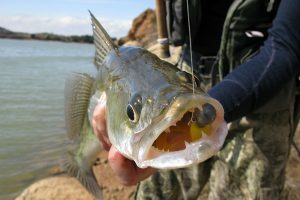 The current is flowing at a normal rate again and that may increase catch rates. 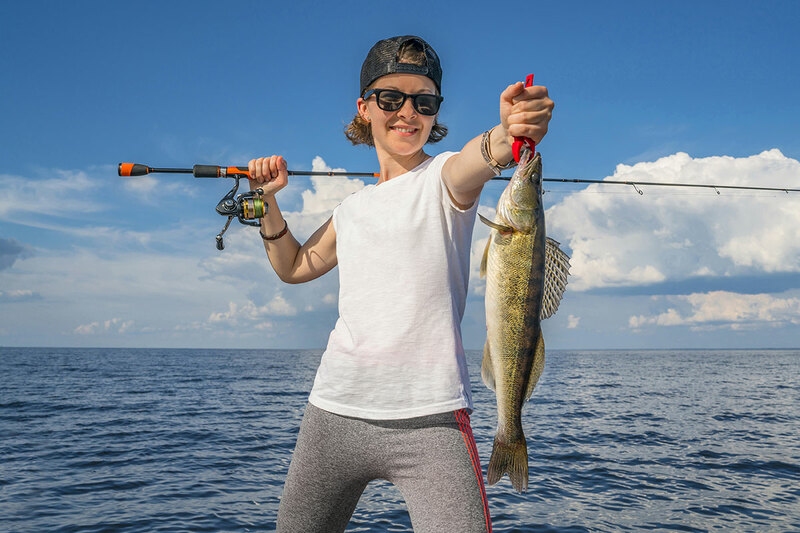 Saginaw Bay – Port Austin – Walleye were caught in 45 to 50 feet of water off the lighthouse. Lake trout were taken in 130 to 160 feet of water. Pier fishing was slow. Saginaw Bay – Tawas – Boat anglers caught a few walleye. Pier fishing was slow. 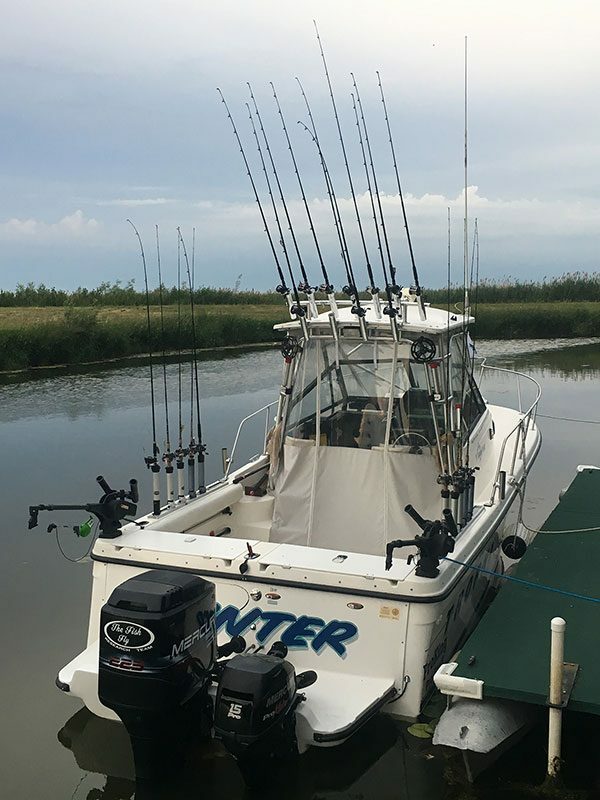 Saginaw Bay – Tawas River – Bluegill, freshwater drum and small pike were caught.